County Court Judge Bradley Harper held a question and answer session recently with students from South Tech Academy. During his session with the students, Judge Harper explained the day-to-day functions of the Judicial System. Pictured below is Judge Harper with the students. 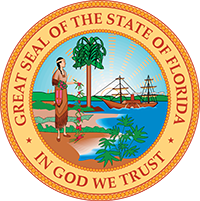 Do You Want to Serve on a Florida Bar Committee? Ask Judge Smith: Republic or democracy?